Unwind at a widely acclaimed fly fishing spot and historic bed and breakfast. Located on the Trinity River in Lewiston, Northern California, renowned for its phenomenal steelhead, salmon and big brown trout fishing. The Old Lewiston Inn in is a 4 season resort located on a spectacular stretch of river, also popular for motorcycle rides, cycling, hiking, kayaking and rafting adventures. Don’t forget your camera the scenery is gorgeous and wildlife abundant. Daily sightings of blacktail deer, river otters, beavers, bald eagles, osprey, and an abundance of waterfowl are common. Outdoor pursuits abound in the area and include the 500,000+ acre Trinity Alps Wilderness Area, Trinity Lake, Lewiston Lake and so much more. 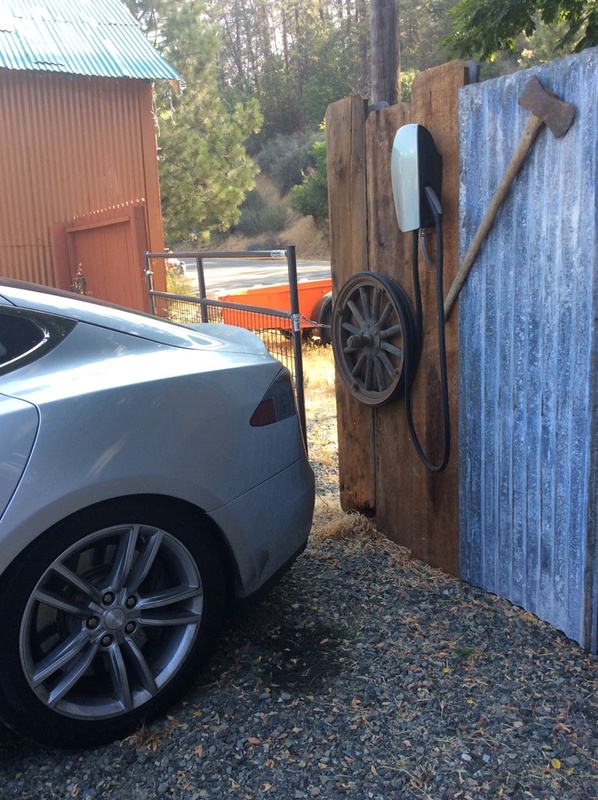 We added a Tesla charging station for our guests. Lewiston is home to California's third largest reservoir the Trinity Dam. The Trinity River flows through the heart of Lewiston, directly under the Old Lewiston Bridge. Just above Lewiston Lake and Trinity Dam, Trinity Lake is located. It is a popular summer time destination, great for fishing, camping, boating, and swimming. The original Hupa name for the Trinity River was the Hoopah River. It was also known as the Indian Scalp River when first crossed by the Jedediah Smith fur-trapper's party heading. 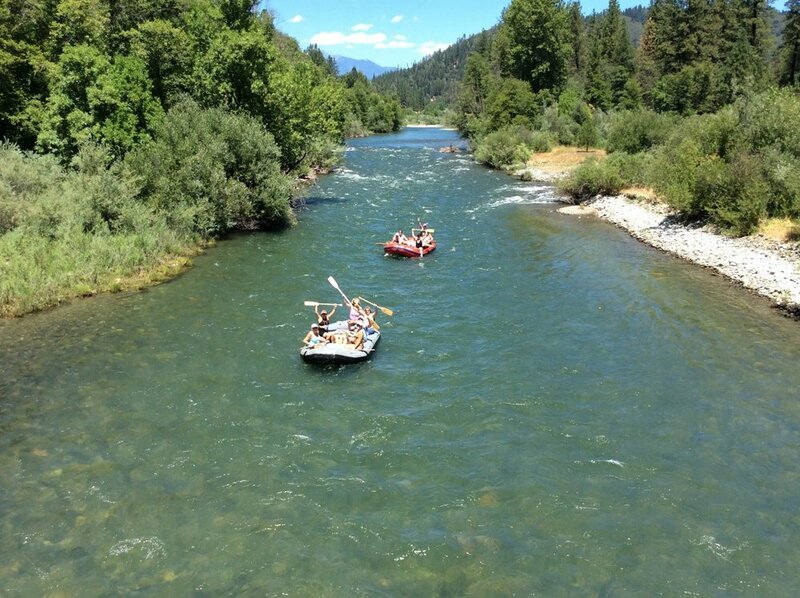 The Trinity River is a pristine freestone river which is fed by many tributaries from the Trinity Alps Wilderness. The tail waters flow from Lewiston Lake being fed by Trinity Lake. The Trinity River flows westerly approximately 100 miles through rugged canyons where it flows into the Klamath River at the town of Weitchpec. Forty miles further it flows into the Pacific Ocean at Klamath Glen CA. Climate and altitude: Elevation at 1950 ft. with summer weather usually hot and dry (85°+) with lows in the 60s. Cooler at higher elevations. Fall days are mild and warm, with cool nights. Winter is when most of the rain falls (55°+ inches) turning to snow in the high elevations and sometimes a sprinkling at our level (30s-60s). Spring weather is variable with many pleasant days. Historic gold-mining towns of the 1850s. Our own small town of Lewiston is a quiet reminder of the 49er days. Thirteen of the original buildings line the street of this former stagecoach stop. Be sure to see the one-room schoolhouse, and the miner's old bunk house. Our rooms are clean with cozy comfortable beds. Each room has a private entrance and bath, deck view overlooking the river, refrigerator, coffee maker, hair dryer, wifi, cable tv, and BBQ available. BBQ and microwave available on the patio. At The Old Lewiston Inn, we warmly welcome guests. 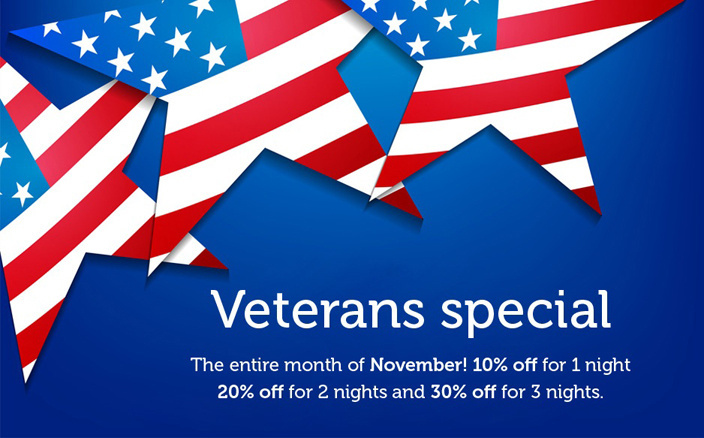 Call (530) 778-3385 today to ask for more information about our lodgings and to reserve your rooms. We guarantee that our inn can provide the perfect atmosphere to de-stress from the demands of a modern, fast-paced lifestyle. Copyright © The Old Lewiston Inn, 2019. All rights reserved.